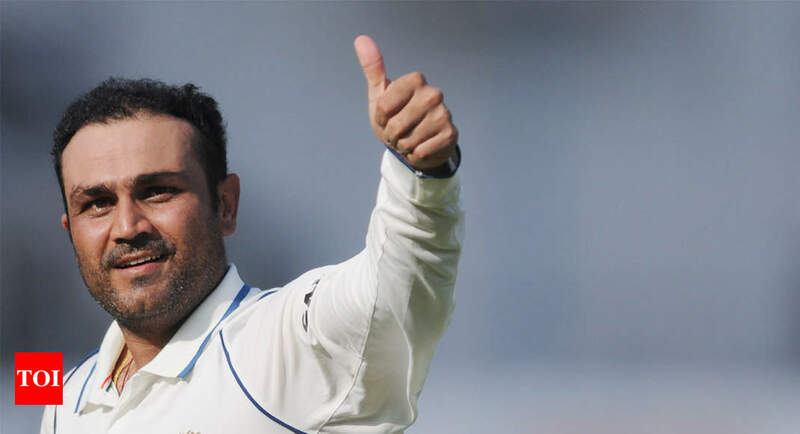 Times of India – NEW DELHI: Virender Sehwag , regarded as one of the most swashbuckling batsmen ever to have played cricket, turned 40 on Saturday and wishes poured in for the former India opener from all quarters. NEW DELHI: Virender Sehwag , regarded as one of the most swashbuckling batsmen ever to have played cricket, turned 40 on Saturday and wishes poured in for the former India opener from all quarters. ,” Harbhajan wrote on his twitter handle.Former India captain Sourav Ganguly shared an old picture in Indian ODI colours.Sehwag, who represented India in 104 Tests, 251 ODIs and 19 T20Is, was India’s first Test triple-centurion. He scored a blistering 219 off 149 balls against the West Indies in 2011 in Indore.Sehwag has 8,586 Test runs under his belt in 104 Tests at an average of 49.34. In 251 ODIs, Sehwag scored 8,273 runs at an average of 35.05. He has 15 centuries and 38 half-centuries in ODIs to his name.Sehwag also scored two Test triple centuries – 309 vs Pakistan in Multan (2004) and 319 vs South Africa in Chennai (2008).